The independent Commission has been set up by the Welsh Government to make recommendations on growing and developing the co-operative and mutual economy in Wales. they have now issued a call for evidence. The Commission would like to hear views from people in Wales and wider afield: producers, consumers, householders, those in and out of work, local communities, those running businesses in Wales, those with experience of the co-operative and mutuals sector and individuals, communities or groups who would like to start their own enterprise. 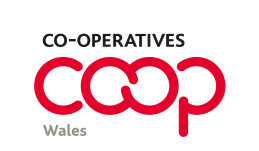 What opportunities are there for developing and growing co-operatives and mutuals in Wales? What role should co-operatives and mutuals take in the delivery of public services in Wales? How can the Welsh Government support the formation and growth of co-operatives and mutuals in Wales? What scope is there for existing co-operatives and mutuals to expand their operations in Wales and to assist other co-operatives to set up and grow. Have you ever considered setting up or converting to a co-operative or mutual enterprise in Wales? If so, where did you go for information and support and did you receive appropriate advice? If you have received business advice in Wales, were you provided with information about the co-operative and mutual business models? How helpful was that advice? In what ways could it be improved? What constraints are you aware of in establishing and expanding co-operatives and can you suggest ways of getting around them? Are there ways in which the use of information technology and social media could be used to strengthen the co-operative and mutual economy in Wales? Your views will help inform the Commission’s findings which will be presented to the Minister for Business, Enterprise, Technology and Science. The deadline for responses is 19 April 2013.